Our staff will take very good care of you throughout your entire visit. Maintaining good oral health is about early detection and prevention. At Rancho San Diego Dental we’re proud to offer one of the most comprehensive dental exams you’ve probably ever had. 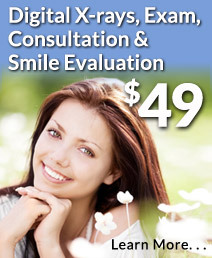 Our extremely thorough exams are designed to analyze the health of your entire mouth. This includes your teeth, gums, soft tissues and even the temporomandibular joint for any TMJ disorders. When you begin treatment with Rancho San Diego Dental everything will be done right here in our comfortable office, which provides all the facilities and state-of-the-art equipment and materials needed to perform even the most complex dental procedures. Our digital x-rays emit far less radiation than conventional x-rays. Your first step is to get high-speed, low-dose digital x-rays. These computer-aided X-rays provide images of unmatched quality. This makes it easier to identify and diagnose your oral health concerns. In addition to those x-rays, we will take photos of the inside of your mouth with a state-of-the-art intraoral camera. If you should have missing teeth and are interested in our dental implant procedure we’ll take 3D x-rays (CT-scan) with our high-tech 3D cone beam system. For information on a complementary dental implant consultation, click here. A thorough exam and consultation is done to find out your goals for your smile. We will discuss with you your goals for your oral health and smile, and will answer any questions, as well as listen to any concerns that you may have. Then we’ll review with you your digital X-rays and the images from the intraoral camera to show you what is going on in your mouth, and to make sure you have a solid understanding of the problem areas. This will give you a good perspective and a proactive approach to your oral health care. The health of your gums is as important as the health of your teeth. With our periodontal exam, we will determine the state of your gums and how much, if any, periodontal care is needed to treat gum disease. The doctor will give you a smile evaluation to discuss what exactly you’d like to change about your smile, if anything. This includes missing or crooked teeth, broken or chipped teeth, discoloration and other dental imperfections. The temporomandibular joint (TMJ) is an important part of your jaw and all-around oral health. When this joint is out of place and misaligned it can cause a popping or clicking jaw, headaches or an incorrect bite. And a poor bite can cause problems in eating or wearing away of your teeth. We will check your TMJ to see if it needs to be adjusted. We’ll also check your bite to see if it is properly aligned and has a good range of motion. 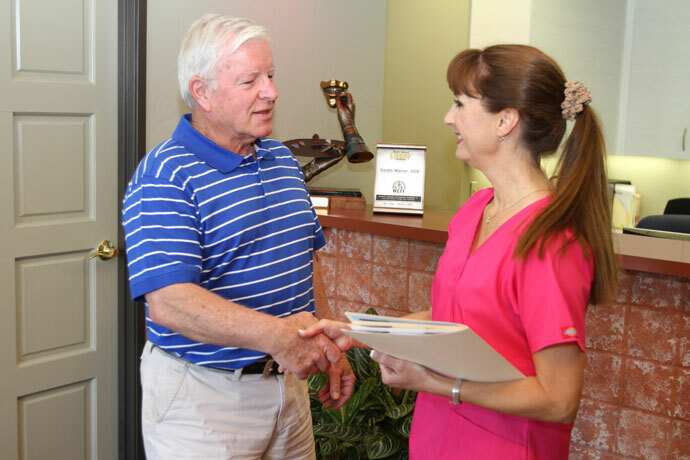 An oral cancer exam is done on each new patient who walks through our doors. Although it’s rare to find anything, an oral cancer screening can detect a problem before it has a chance to develop into anything further.